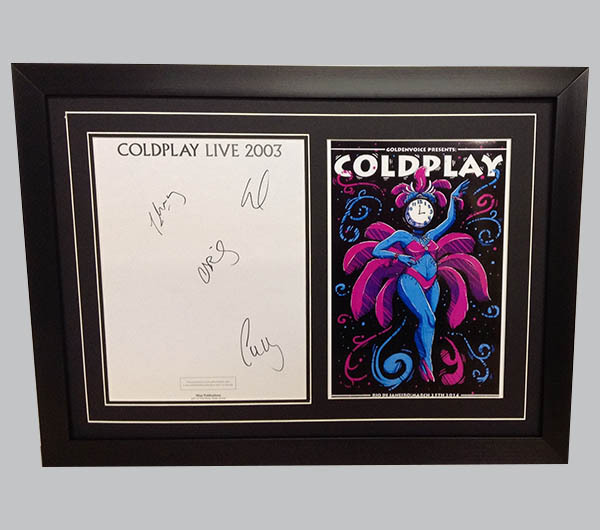 Coldplay music memorabilia – framed and ready for display. Formed in 1996 Coldplay are another band who have not changed their line up, consisting of lead singer Chris Martin, Jonny Buckland, Guy Berryman and Will Champion. Releasing anthem hits such as Yellow, Trouble and Clocks. Winning them awards such as Grammys, World Music Awards and Brit Awards amongst many others. Having released many studio albums since 2000, with each album release followed by a large world tour, Coldplay have so far sold over 90 million albums worldwide (and counting). 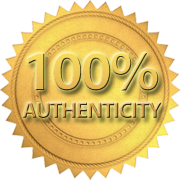 At Sports Legends we’re committed to authenticity, so you can buy genuine music memorabilia - and buy with confidence.